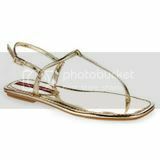 US Weekly contributor Jill Martin shows TODAY’s Hoda Kotb and Kathie Lee Gifford some great looks for under $50, including these Chinese Laundry Razor Sandals for only $39.99! 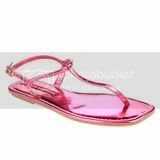 Available in Fuschia, Gold, Green, Purple, Silver, Black and/or White. Plus we have a coupon code especially for Shoeaholics, so you can save 20% off any ChineseLaundry.com purchase! Use Code: CL@TOP at checkout. Wow, that’s $8 bucks off one pair of Razors! Get ’em before they’re all sold out!